Enid Rowlands, an existing member of the board of the Solicitors Regulation Authority (SRA), has been named as its first non-lawyer chair. Ms Rowlands will succeed Charles Plant from 1 January 2015 after he completes four years in the role. 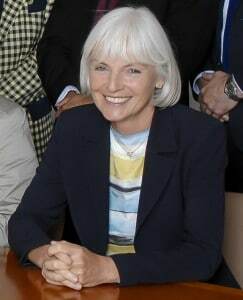 The appointment was made by an independent appointments panel, chaired by Elizabeth Filkin CBE, following an open competition. The appointment is for an initial period of three years. Ms Rowlands has a background in training and skills work, progressing to chair Education and Skills Wales. She is the UK chair of Victim Support, and a member of the General Medical Council, board member at the Information Commissioner’s Office and a trustee of Nest Corporation. She has also held roles with Consumer Focus, North Wales Police Authority, North Wales Health Authority, the Training Standards Council and S4C Broadcasting Authority, and served on ministerial advisory committees on equalities. She said: “I look forward to leading a highly able and committed board and an organisation comprised of talented individuals with a strong commitment to providing high-quality regulation in the public interest. “There is much for the organisation to do to continue the programme of modernisation and liberalisation on which it has embarked. I have every confidence that it will be successful in delivering this programme and the benefits that it is designed to achieve. The Legal Services Consumer Panel tweeted that it was “good to see someone with strong consumer credentials in the top job”.